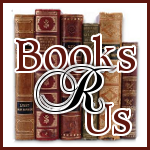 I want to welcome Louis A. Del Monte to Books R Us. Louis is the author of How to Time Travel: Explore the Science, Paradoxes, and Evidence . Thanks for stopping by. How to Time Travel explores time travel science, paradoxes and evidence to answer an age-old question: Is it truly possible to secure passage to a time fixed in the past or future? According to physicist Louis A. Del Monte, there is ample evidence that time travel has already occurred, as well as an arsenal of scientific data to back up this bold assertion. Now, he reveals his own theoretical research in support of this claim in a thought-provoking, mind-bending new work, How to Time Travel. 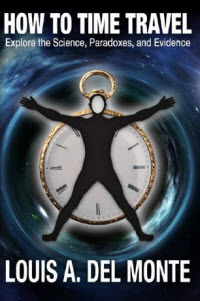 How to Time Travel provides insight into this perennially popular topic, covering the science of time travel, proposed time machines, time travel paradoxes, and time travel evidence. Organized into three major sections, the book demystifies the main tenets of this complex subject, including: Time Travel Evidence, The Science of Time Traveling, and Building a Time Machine. From explaining how Einstein's theories of relativity underpin time travel to detailing proposed methods of time travel, this comprehensive book will ensure that you never look at time in quite the same way again. The book also includes several new contributions to the field, including the Existence Equation Conjecture, the Grandchild Paradox, the Preserve the World Line Rule, and the Time Uncertainty Interval. A fascinating and radical foray into popular science, How to Time Travel will enthrall anyone who has a consuming interest in the subject or is newly compelled to mine the universe's most confounding mysteries. Louis A. Del Monte is an author, award-winning physicist, featured speaker and the chief executive officer of Del Monte and Associates, Inc. For over thirty years, he was a leader in the development of microelectronics for IBM and Honeywell. Subsequent to those positions, he formed his high-tech e-marketing agency and authored Unraveling the Universe's Mysteries (2012) and How to Time Travel (2013). He has also developed several patents fundamental to the fabrication of integrated circuits. Del Monte is the recipient of the H. W. Sweatt Award for scientific/engineering achievement and the Lund Award for human resource management excellence. He has a bachelor of science degree in physics and chemistry from Saint Peter's University and a master of science degree in physics from Fordham University. I have always been fascinated with time travel and if it was ever possible. The book was well researched, informative and was written for the average person. The book included theories from famous physicist that include Albert Einstein, Stephen Hawking and many other remarkable people fascinated with the concept of time travel. I would love to travel through time but it will not happen in my lifetime because we do not have the technology to master the art of time travel. Maybe in the future that may be possible.The science surrounding time travel is very complex and the author included a glossary to explain the terms used in the book. Overall this is a fantastic book that kept me interested and engaged. I was given a free copy of the book for my honest review and I was not compensated for my review.